People struggle with perfectionism. You know those signs that say don't feed the bears? It's because once you feed the bears, they keep bringing their bountiful booties back to your campsite for more. And if you say oh no, Mr. Bear I don't want to feed you today- too bad, that bear now weighs 225 lbs. and will take whatever it wants. So don't feed the bear! For many, that bear shows up as perfectionism, which is a form of procrastination. Don’t feed the bear, and don’t feed the procrastination. I was talking to someone the other day about perfectionism. Their perfectionism showed up at its worst when they went to Ikea and bought a piece of furniture. Here’s what happened: They got it home and started to build the piece with the little man that come on the directions. They got frustrated, and threw it away after struggling to put the piece together. A week later, they’d find themselves back at IKEA to buy the same exact piece of furniture to start the cycle again. My first thought was “Dear God. What a waste of time and money and hassle and traffic to worry about whether you’re assembling a piece of IKEA furniture perfectly. Especially when there’s like one person in the entire universe who can assemble IKEA furniture perfectly. But, here’s the thing: Our idea of perfectionism never lines up with someone else’s idea of what’s perfect. Take the student who gets a 97 on a test and they’re really upset because it isn’t 100%. How many times have you responded in this way: “You always get a 97. It comes so easily to you and you always get upset when it’s not 100!”? This is just like me thinking that someone else’s IKEA frustration is silly. What trips us up and makes us anxious when we’re in perfectionist mode about something is always going to seem silly or stupid to someone else. When someone things what we’re concerned about is silly, does it make us feel better? No. It makes us feel worse. It makes us feel isolated, like no one understands. And we don’t want to talk to others about what’s making us concerned. We internalize it even more and get stuck in the perfectionism loop, because we’re afraid to talk about what it is that we’re afraid of – messing up – because we’ll look foolish or imperfect. Here’s what I do know though: I might not understand my friend’s issues with IKEA. My reaction is not helpful to them in breaking out of that perfectionism and concern though. Take a moment and think about what your IKEA perfectionism moment might be. The idea that I’m poking around in that area of your brain is making your chest tighten a bit, right? One of my biggest fears is public speaking, especially in front of little people. Adults are terrifying enough, but going into a classroom of students is panic attack inducing. Every time I had to go into a classroom, a week beforehand I’d start to get irritable. A day or two before, I would get splotchy on my chest. I would cry, I might have a legit panic attack and start thinking of excuses to cancel. The thing is, getting out of that cycle is tough. Telling someone not to get worked up – That’s not helpful. Instead, it tells me I’m silly for thinking that the students are going to turn on me like Lord of the Flies and attack in a swarm and I’m never going to be able to show my face anywhere again. I think of perfectionism this way, particularly with students: It’s a self-created report card of unrealistic expectations. We get that report card by cheating off of other people’s book reports. Because someone else has success or their way looks so easy, we think that we have to do it that way, or we have to do that to find success. We’re constantly cheating off someone else’s paper. We internalize other people’s success and compare ourselves to them. But, we also get the message from the media, from social media like Instagram, Facebook, and Pinterest. Social media tells us to do things. Friends tell us things should happen this easily. Parents have expectations too. It all adds up and creates this notion of who we think we’re supposed to be. The thing is, as you’re creating that person, that person is probably someone no one wants to be around. I know when I start thinking about the perfection I’m told I should achieve, I get sucked down into the perfectionism drain. I get cranky. I get snappish, and I feel bad about myself. When you’re in the perfectionism trap, ask yourself if you’re the kind of person people want to be around. The answer might help to snap you out of it. I give you permission to do you. Stop cheating off of other people’s papers. Do you. Do you as you are planning a Pinterest dinner party and it all burns. You in your true element is awesome. There are a couple of ways that perfectionism shows up. Some are pretty obvious, but some are less obvious. · An obsession with class rank. If your child is in a race to be valedictorian, you might see them taking summer classes, AP level classes, college-level or even master’s level classes, trying to get an edge. That’s a key sign of perfectionism. · Anxiety over numbers. For a student who feels that less than 100% is doom, an A is never an A. A 90-95 is not an A, it’s an A-. It’s not 100%. · Procrastination: Who wants to do something you think you’re going to fail at? So, they put it off. · Dropping classes: You’ll see them coasting along and then, come October, when things start to get harder, they find that they’re terrified and struggling and want to drop the class. · They coast on average. Perfectionism isn’t just for the high achievers. Some students coast on average so that they don’t have to face what happened if they pushed just a little harder. What is your kid trying to achieve? Is it realistic? Are your wants something you can control? What if you do everything to get into a specific school and it just doesn’t happen? Are these standards really achievable? Think these things through, and maybe make your standards a little more human. I have to. I have to. I have to. I have to be president of this club. I have to get the lead in the school play. I have to teach CPR to kindergartners. Many students get into the “I have to” loop because those things look good, and they feel good. Instead, change your thoughts: I want to. But, is it really necessary? What will it cost me? 3. Pull out the things that worked. Remind yourself of what works for you, what’s worked in the past. When I work with my coaching students, we really dig into what works best for them. When we nail an awesome system - students say "I feel so much better. It's like a weight has been lifted. I have so much more free time." That's when we practice. However, a few days later I get the text arghghg I feel so stressed." What have they been doing in the few days between? They’ve been feeding the bear. At that point, we work to get them off the ledge and remind them of the plan. We remind them of what feels good and what works. Perfectionism does not feel good. Remind yourself of the tools and lists and things that work for you. Remember what makes you feel like you’re in control. Feed yourself. Don’t feed the bear. Don’t dismiss people’s perfectionism as silly - let them voice their fears. If you struggle with perfectionism, ask yourself if you are feeding the bear or feeding yourself. Always go back to what works. I work with students across the country as an academic coach. 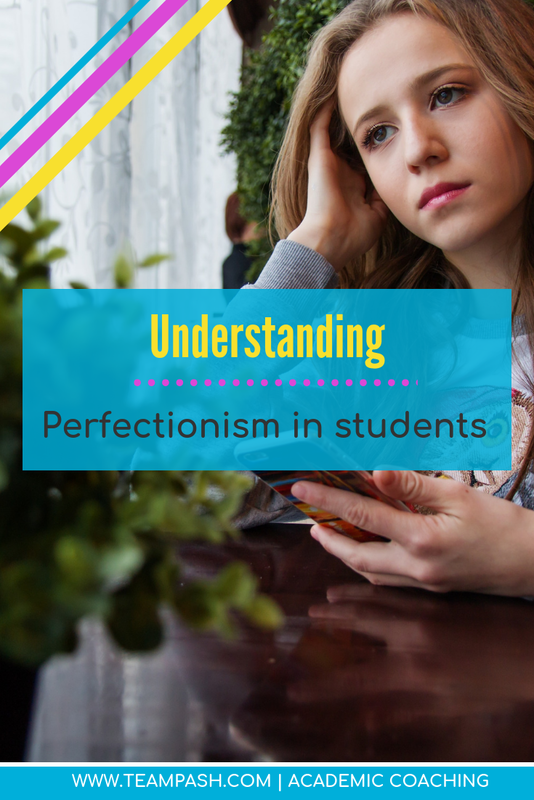 Perfectionism is a very real tripping point that my students struggle with. 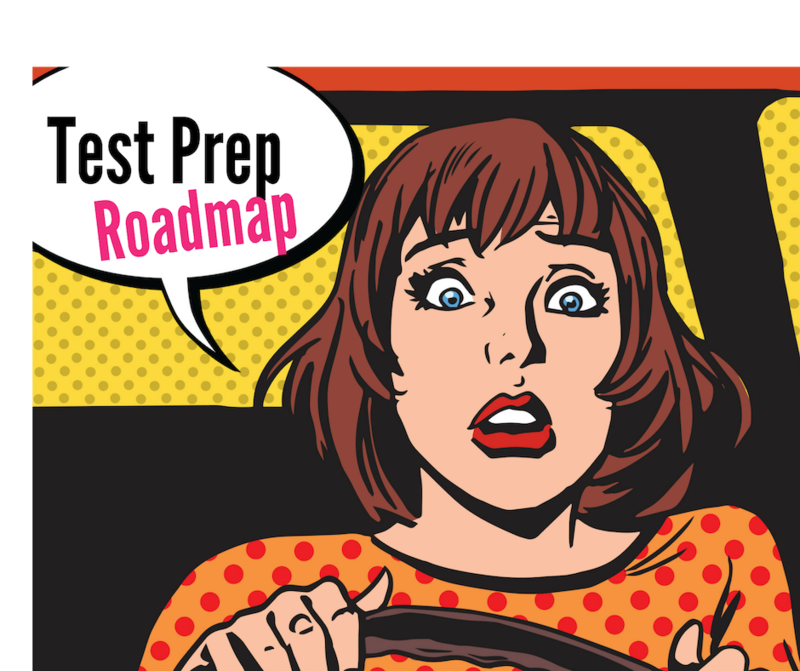 I use my training as a school counselor to help students reevaluate their goals, find strategies to assess stress levels and crush fear based procrastination. I am currently accepting clients, but space is limited. Please contact me at via the contact form by following this link.